Joshua Wong and his colleagues from Scholarism have set up there own party – although he is too young to stand for Legco, according to the courts. So is Wong a worthy democratic leader? “I was so impressed, when Joshua Wong said at the beginning stages of Occupy Central: ‘I am fighting for democracy for my generation and the next generation’. He was 17. And who here has come across such a young leader in your country, who has already made the cover of TIME magazine. 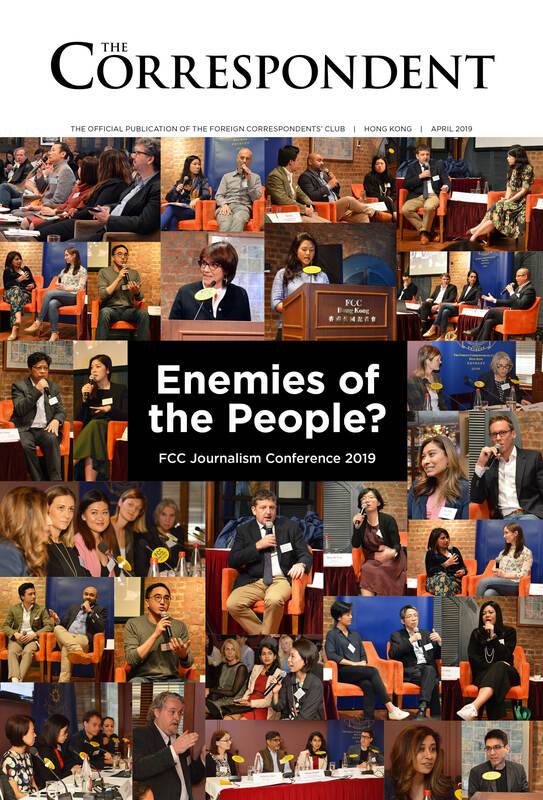 Lee said he had been in close contact with Wong when they both, along with Professor Benny Tai, were invited to make speeches by Freedom House in Washington about six months ago. “So, if you like, there were three generations: me the grandfather, Benny the father and Joshua,” he said. 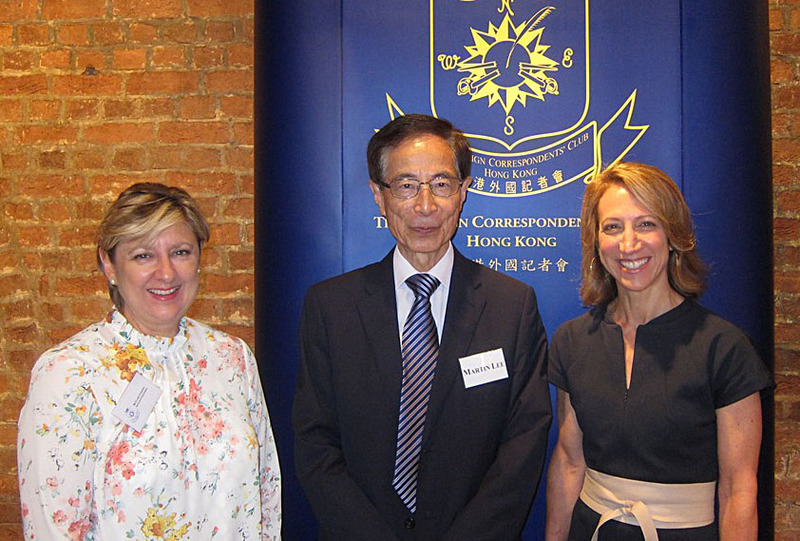 “All the rest I am in agreement with him, including what his party wants for Hong Kong in 2047 – self-determination. And Beijing was not happy with that because self-determination normally means independence. Of course, in Hong Kong, constitutionally, there cannot be independence. “Our young citizens were born into a Hong Kong that was supposed to have a high degree of autonomy. However, seeing the daily interference by the Central Government’s Liaison Office, as well as seeing that Beijing has kept delaying democracy, although it promised us… how can we blame them for not wanting to accept one country, two systems. “If the young people had stayed with the status quo and accepted the interference, then Hong Kong would have no future. Lee said that on one extreme you have the demands for independence on the other you have “one country, one system” in 2047, where Hong Kong becomes just another Chinese city. “What about somewhere in the middle? What about a continuation of the one country, two systems? “My son asked me when he was about 10 why was it 50 years of one country, two systems… ‘its long enough for you, but not for me’. At the time I didn’t have an answer. “Not long after during the drafting of the Basic Law I was in Beijing in 1987 negotiating when suddenly the proceedings were stopped because we had been summonsed by Paramount Leader Deng Xiaoping. He said, among other things, ‘if 50 years should prove not to be enough, you can have another 50’. “Later I looked back at the early 80s when China had just opened up for foreign investment and I imagine Deng would have looked at Hong Kong – a Chinese city, stable, prosperous, rule of law, level playing field operating under a capitalist system – and was already thinking of leading China down the same road. A capitalist road, not a socialist road (with Chinese characteristics) and let the rest of China follow. “He still wanted Hong Kong and Taiwan back, but was prepared to be patient until China was ready. 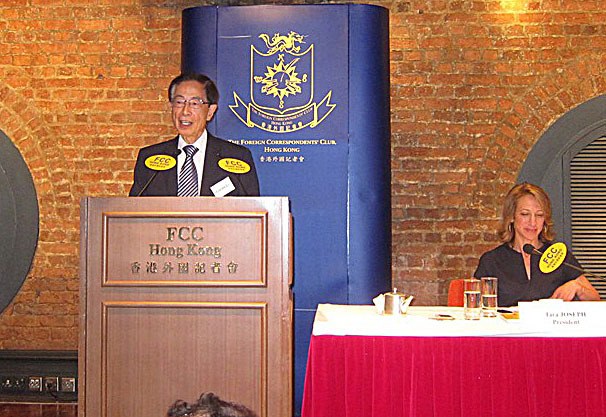 Martin Chu Ming Lee is the founding chairman (1994-2002) of the Democratic Party and believes that Hong Kong must develop democratic institutions and preserve freedom, human rights and the rule of law if the territory is to continue to prosper as part of China. 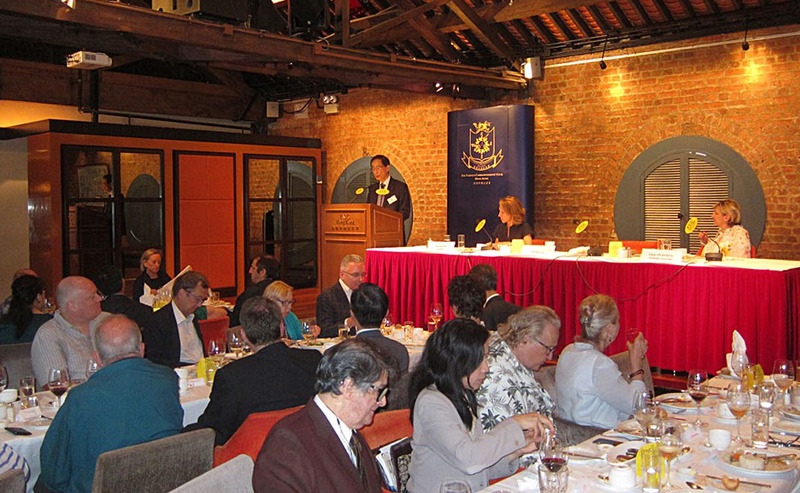 Lee was appointed a Queen’s Counsel in 1979 and was chairman of the Hong Kong Bar Association from 1980-1983. He was first elected to the Legco in 1985. He served from 1985-89 as a member of the Basic Law Drafting Committee, the body appointed by Beijing to draft Hong Kong’s post-1997 constitution, until his expulsion following the 1989 Tiananmen crackdown.